Finance a new 2019 Highlander Gas for 0.9% APR for up to 60 months! 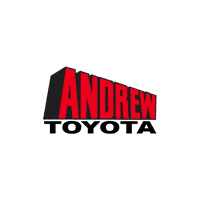 0.9% Annual Percentage Rates (APR) for 36 months, 0.9% APR for 48 months, 0.9% APR for 60, 1.9% APR for 72 months available to eligible customers who finance a new, unused, or unlicensed 2019 Highlander from Toyota Motor Sales, USA, Inc. (TMS) and Toyota Financial Services (TFS). Offer valid 4-2-19 through 4-30-19. Specific vehicles are subject to availability. You must take retail delivery from dealer stock. Special APR may not be combined with any other Customer Cash Rebates, Bonus Cash Rebates, or Lease Offers. Finance programs available on credit approval. Not all buyers will qualify for financing from Toyota Financial Services through participating dealers. Monthly payment for every $1,000 financed is 0.9% – 36 months = $28.16; 0.9% – 48 months = $21.22; 0.9% – 60 months = $17.05; 1.9% – 72 months = $14.71. Bonus cash from Toyota Financial Services on TFS lease contracts only. Must be applied to the transaction. No cash payment will be made to consumer. Special offers are subject to change or termination at any time. Offer ends 4-30-19. All prices plus tax, title, license, and $299 dealer service fee.